Update: following our photo shoot with Continental Tyres and Valtra, it was proposed that one of the images would support their stand at the LAMMA ’19 show at the NEC. For those not in the know, LAMMA is the UK’s largest agricultural and machinery show and is the place to be for agriculture innovation and development. Being an agriculture newbie I wanted to find out more about the sector, so I hopped onto a train to the NEC to catch up with the guys at Continental, take a look at their stand and to see what else I could learn about the sector. The show was huge occupying 4 halls at the NEC. I managed to find Continental Tyres and after a walk around their stand, I found our image being used on a full side of their eye-catching stand. It looked great and I was filled with a great sense of excitement. I love seeing my work in it’s intended content, its a thrill I hope I never tire of. It looked amazing, very much worth the journey. To view the original image click here. 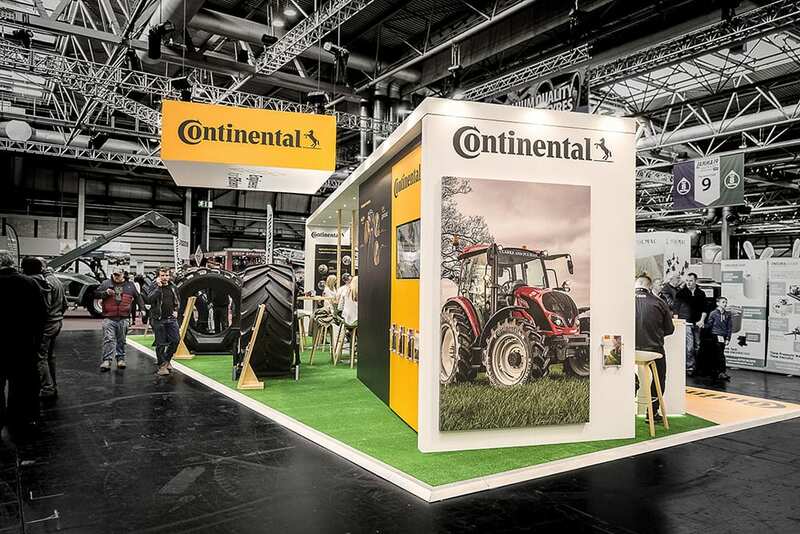 Speaking to the Continental marketing staff they’d had a good number of viewers from other stands (including Valtra) looking at the image and were very impressed. I received some great feedback from everyone and made some valuable new connections, that should prove very helpful moving forward. Getting feedback is essential as it enables improvement. Receiving good feedback is always a bonus, but I’ve always looked for ways to develop and tailor my submissions to suit my client’s requirements. I believe its part of the role of a photographer to provide images that make your client’s work easier. It should be easier for instance to sell a product with good photography, or provide an understanding of the product’s application by the environment or background that the product is seen in. I hope Continental Tyres are able to raise awareness, sell more tyres and provide greater product understanding to viewers from just looking around the stand. I had a good look around LAMMA and talked with a few other manufacturers, so placing a couple of more irons in the fire… watch this space for developments. I hope to be working with Continental agriculture on more projects soon and fingers crossed some other manufacturers in the agriculture sector.